For two years, the Arizona Citizens Defense League (AZCDL) has been pushing to pass a bill to enact a compact between states. The purpose of the bill is to prevent a billionaire funded referendum from imposing Universal Background Checks (UBC), a precursor to firearms registration in Arizona. Compacts between the states take precedence over state statutes; if another state signed on the the Compact created by SB2524, a Bloomberg funded referendum would not be able to impose UBCs on Arizona. That, at least, is the theory. It is hard to understand why. The compact would only have gone into effect if another state signed on, and would only have required that Arizona restrictions on firearm transfers be no stricter than federal law. 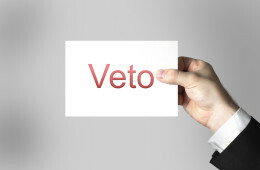 In the veto letter(pdf), Governor Ducey says that he sees no reason to tie Arizona decisions about firearms to another state. Either he does not believe that the Bloomberg referendum is a serious threat, he has been influenced by Bloomberg lobbiest, or he sincerely believes that Arizona should not tie its legislative hands for future firearms legislation. None of those options bode well for the future of firearms law reform in Arizona. On the same day, Governor Ducey signed two bills that help to restore Second Amendment rights in Arizona. HB 2338 stops educational institutions from banning the possession or carry of firearms on public right of ways that pass near or through the educational institution. SB 1266 allows for enforcement of the state preemption statutes. Some local governments have been ignoring the preemption law because there were no penalties provided. SB 1266 provides for penalties so that the preemption statute can be enforced.